Painting reality or reality out of a painting ? While I was walking and thinking of random stuff, I came across the painting that was the reason of this post. 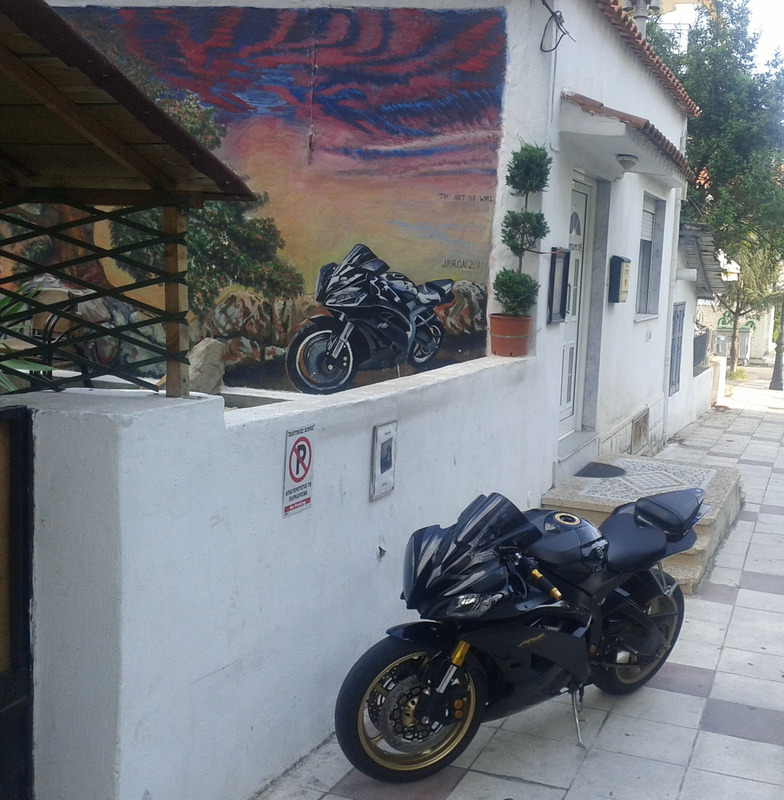 "A wall painting of a motorcycle that is real". After realizing what I saw, I quickly took a picture with my beloved Nexus S phone. Then the questions started popping up in my head... What is the purpose of painting and why human has the need to paint ? From a biological - physiological point of view the brain acts on the rest of the body either by generating patterns of muscle activity or by driving secretion of chemicals called hormones. The functions of the brain depend on the ability of neurons to transmit electrochemical signals to other cells, and their ability to respond appropriately to electrochemical signals received from other cells. From a philosophical point of view, what makes the brain special in comparison to other organs is that it forms the physical structure that generates the mind. Heres the problem... if we stick on what we know about brain, from bio/physiological point of view we pretty much know how it works and reacts. But if we start talking about the MIND... we are pretty much blind.. It really tells you seeking beauty is in fact seeking to reward your pleasure centers. The oldest known paintings are at the Grotte Chauvet in France, claimed by some historians to be about 32,000 years old. They are engraved and painted using red ochre and black pigment and show horses, rhinoceros, lions, buffalo, mammoth or humans often hunting. There are examples of cave paintings all over the world—in France, India, Spain, Portugal, China, Australia etc. Various conjectures have been made as to the meaning these paintings had to the people that made them. Prehistoric men may have painted animals to "catch" their soul or spirit in order to hunt them more easily or the paintings may represent an animistic vision and homage to surrounding nature, or they may be the result of a basic need of expression that is innate to human beings, or they could have been for the transmission of practical information. 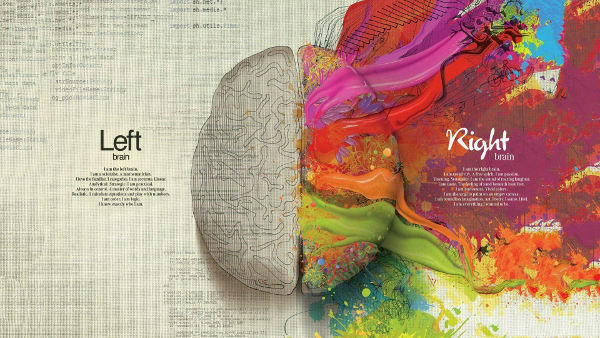 Nowadays an artist may have many reasons to "catch" the soul of reality in order to present it on a canvas so to plesure his or our medial orbito-frontal cortex. Artists erase reality to a greater or lesser extent, and substitute their own reality - created by their brains, instead. Art is the expression of thought we cannot express and that is why I like it so much. Well that is my theory.